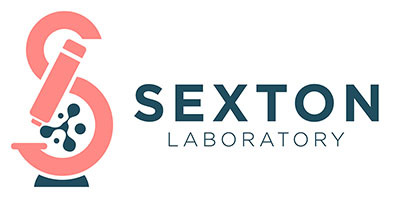 Here are a few publications from the Sexton laboratory that show the kinds of projects and technologies that we use. Hiral A. Bhagat, Sarah A. Compton, David L. Musso, Christopher P. Laudeman, Kimberly MP Palatini, Na Young Yi, Lidia S. Nierobisz, Lawrence Forsberg, Jay E. Brenman, Jonathan Z. Sexton1. : N-substituted Phenylbenzamides of the Niclosamide chemotype attenuate obesity related changes in high fat diet fed mice PLOS One: (In revision 2018). Yi NY, He Q, Caligan HB, Smith GR, Forsberg LJ, Brenman JE, Sexton JZ. Development of a cell-based fluorescent polarization biosensor using pre-pro insulin to identify compounds that alter insulin granule dynamics. November 2015; ASSAY and Drug Development Technologies, 13(9): 558-569. Onyenwoke R, Sexton JZ, Yan F, Diaz M, Forsberg LJ, Major MB, Brenman JE. The Mucolipidosis IV Ca2+ Channel MCOLN1 is Directly Regulated by the TOR Kinase. 2015; Biochemical Journal. 470(3)331-42. Law CJ, Ashcroft HA, Zheng W, Sexton JZ. Assay Development and Multivariate Scoring for High-Content Discovery of Chemoprotectants of Endoplasmic Reticulum Stress-mediated Amylin-induced Cytotoxicity in Pancreatic Beta Cells. ASSAY and Drug Development Technologies. 2014 Sep;12(7):375-84. Williams KP, Allensworth JL, Ingram SM, Smith GR, Aldrich AJ, Sexton JZ, Devi GR. Quantitative high-throughput efficacy profiling of approved oncology drugs in inflammatory breast cancer models of acquired drug resistance and re-sensitization. Cancer Lett. Aug 28 2013;337(1):77-89. Sinnett SE, Sexton JZ, Brenman JE. 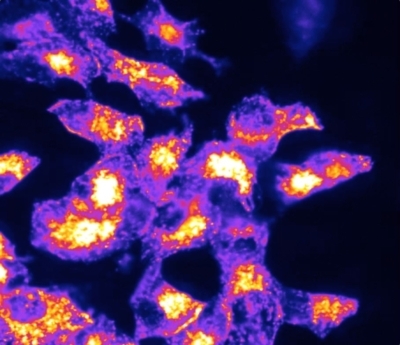 A High Throughput Assay for Discovery of Small Molecules that Bind AMP-activated Protein Kinase (AMPK). Curr Chem Genomics Transl Med. 2013;7:30-38. Nierobisz LS, Cheatham B, Buehrer BM, Sexton JZ. 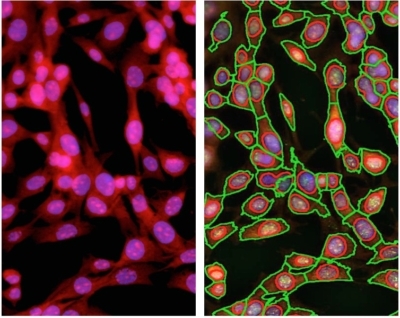 High-content screening of human primary muscle satellite cells for new therapies for muscular atrophy/dystrophy. Curr Chem Genomics Transl Med. 2013;7:21-29. Thomas ZI, Gibson W, Sexton JZ, Aird KM, Ingram SM, Aldrich A, Lyerly HK, Devi GR, Williams KP. Targeting GLI1 expression in human inflammatory breast cancer cells enhances apoptosis and attenuates migration. British Journal of Cancer. May 10 2011;104(10):1575-1586. Mendelev N, Mehta SL, Witherspoon S, He Q, Sexton JZ, Li PA. Upregulation of human selenoprotein H in murine hippocampal neuronal cells promotes mitochondrial biogenesis and functional performance. Mitochondrion. Jan 2011;11(1):76-82. Lamson DR, House AJ, Danshina PV, Sexton JZ, Sanyang K, O’Brien DA, Yeh LA, Williams KP. Recombinant human sperm-specific glyceraldehyde-3-phosphate dehydrogenase (GAPDHS) is expressed at high yield as an active homotetramer in baculovirus-infected insect cells. Protein expression and purification. Jan 2011;75(1):104-113. Sexton JZ, Wigle TJ, He Q, Hughes MA, Smith GR, Singleton SF, Williams AL, Yeh LA. Novel Inhibitors of E. coli RecA ATPase Activity. Curr Chem Genomics. 2010;4:34-42. Sexton JZ, He Q, Forsberg LJ, Brenman JE. 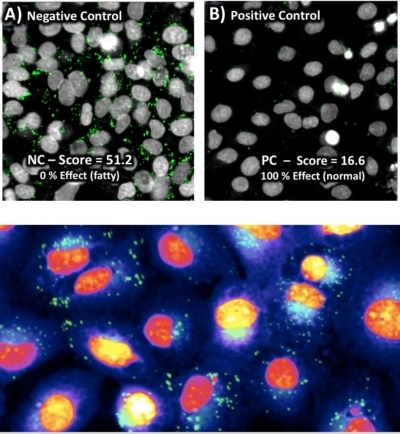 High content screening for nonclassical peroxisome proliferators. International J High Throughput Screening. July 2010 2010;1(1):127-140. Sexton JZ, Ackerson CJ. Determination of Rigidity of Protein Bound Au144 Clusters by Electron Cryomicroscopy. The Journal of Physical Chemistry C. 2010;114(38):16037-16042. Ackerson CJ, Jadzinsky PD, Sexton JZ, Bushnell DA, Kornberg RD. Synthesis and bioconjugation of 2 and 3 nm-diameter gold nanoparticles. Bioconjug Chem. Feb 17 2010;21(2):214-218. Wigle TJ, Sexton JZ, Gromova AV, Hadimani MB, Hughes MA, Smith GR, Yeh LA, Singleton SF. Inhibitors of RecA activity discovered by high-throughput screening: cell-permeable small molecules attenuate the SOS response in Escherichia coli. J Biomol Screen. Oct 2009;14(9):1092-1101. Nakamura K, Zawistowski JS, Hughes MA, Sexton JZ, Yeh LA, Johnson GL, Scott JE. Homogeneous time-resolved fluorescence resonance energy transfer assay for measurement of Phox/Bem1p (PB1) domain heterodimerization. J Biomol Screen. Jun 2008;13(5):396-405. Winn DL, Hale MJ, Grassman TJ, Sexton JZ, Kummel AC, Passlack M, Droopad R. Electronic properties of adsorbates on GaAs(001)-c(2×8)/(2×4). J Chem Phys. Oct 7 2007;127(13):134705. Kummel AC, Grassman T, Winn DL, Hale MJ, Sexton JZ, Passlack M, Droopad R. Influence of atomic structure on electronic structure for oxide-semiconductor interfaces. Abstracts of Papers of the American Chemical Society. Mar 13 2005;229:U730-U730. Sexton JZ, Kummel AC. Island morphology statistics and growth mechanism for oxidation of the Al(111) surface with thermal O2 and NO. J Chem Phys. Oct 1 2004;121(13):6518-6524. Hale MJ, Sexton JZ, Winn DL, Kummel AC, Erbudak M, Passlack M. The influence of bond flexibility and molecular size on the chemically selective bonding of In2O and Ga2O on GaAs(001)-c(2 x 8)/(2 x 4). J Chem Phys. Mar 22 2004;120(12):5745-5754. Sexton JZ, Yi SI, Hale M, Kruse P, Demkov AA, Kummel AC. Displacement of surface arsenic atoms by insertion of oxygen atoms into As-Ga backbonds. Journal of Chemical Physics. Nov 1 2003;119(17):9191-9198. Sexton JZ, Kummel AC. Comparison of density functional theory methods as applied to compound semiconductor-oxide interfaces: Slab versus cluster models. Journal of Vacuum Science & Technology B. Jul-Aug 2003;21(4):1908-1914. Hale MJ, Yi SI, Sexton JZ, Kummel AC, Passlack M. Scanning tunneling microscopy and spectroscopy of gallium oxide deposition and oxidation on GaAs(001)-c(2×8)/(2×4). Journal of Chemical Physics. Oct 1 2003;119(13):6719-6728. Passlack M, Abrokwah JK, Droopad R, Yu ZY, Overgaard C, Yi SI, Hale M, Sexton J, Kummel AC. Self-aligned GaAs p-channel enhancement mode MOS heterostructure field-effect transistor. Ieee Electron Device Letters. Sep 2002;23(9):508-510. Komrowski AJ, Ternow K, Razaznejad B, Berenbak B, Sexton JZ, Zoric I, Kasemo B, Lundqvist BI, Stolte S, Kleyn AW, Kummel AC. Dissociative adsorption of NO upon Al(111): Orientation dependent charge transfer and chemisorption reaction dynamics. Journal of Chemical Physics. Nov 8 2002;117(18):8185-8189.